Cheesy Cartoons races into adventure with Turbo Teen!! Tales of Zestiria: The X anime sneak peek trailer!! Vans releases new Nintendo inspired line!! 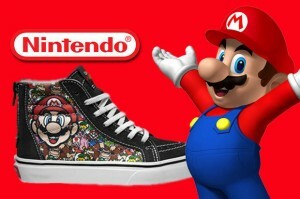 Video game giant Nintendo teams up with Vans to launch a line of clothing and apparel for gamers! Featuring familiar characters such as Donkey Kong, Super Mario Bros., and Duck Hunt, the sneakers come in an array of styles that take you back to the days of your youth with classic 8-bit designs! The sneakers even come packed in a NES inspired box. How awesome is that?! 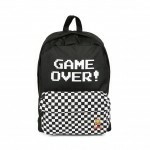 Back packs, shirt and other Vans accessories also are adorned with NES characters like Zelda, Link or Peach. Vans launched their Nintendo apparel on Friday.